We’re already into double digits (gasp!) in January, and fortunately my New Year’s resolutions for 2013 are going swimmingly. I say this because I want you to know that I have not neglected you, my Adventurer community. (See how neatly I just tied you back to one of my resolutions? Impressive, I know.) It’s just that I’m recently back from a visit with my parents, which means another foray into the black hole that is a home without wifi connectivity. Oh they have Internet, but their computer connection is only one step above dial-up. Remember that, back in the dim recesses of the Dark Ages? Their system is incredibly slow, easily overwhelmed and limited solely to the old laptop configuration set up in their guest room. It’s great for unplugging and focusing on spending limited time together. But for maintaining communication with family members scattered to the winds, confirming flight plans and checking in online, and doing quick things like posting a finished blog piece? Eh, not so much. 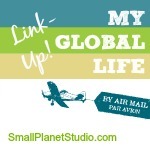 Alrighty then, time again for another Riveting Expat Read in which I shine the spotlight on a new (or new to me) book in this richly varied and rapidly growing niche. There has been a slow but steadily expanding upsurge in books written by and for expats/global nomads/TCKs which examine life lived cross-culturally. In fact, the ‘expat life’ genre is experiencing such growth that I’m now going to be showcasing such books more frequently. I enjoy reading them, and I do hope you’ll enjoy reading about them. 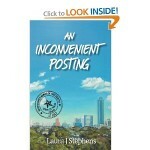 I actually read British expat/repat Laura J. Stephens’ forthright and enlightening memoir An Inconvenient Posting: An Expat Wife’s Memoir of Lost Identity (Summertime Publishing, October 2012) in late summer and couldn’t wait to write about it. However, as with many of our best laid plans, life has a pesky way of intervening and I’m just now getting to this review post. Please don’t in any way infer that I wasn’t enthralled with this book, as I was. Was and in fact still am. Why? Because Laura has written one of the most well developed and emotionally honest depictions of a downward spiral into depression around. That Laura’s bout with depression on relocating from England to Houston, Texas with her family and her slow, steady climb back up occurred during her second expatriate assignment is of note, as is the fact that Laura herself is a licensed therapist. You read that correctly. Even therapists are not immune to the vagaries of expat life that can batter and besiege our confidence, sense of wellbeing and most importantly the core of who we are/how we see ourselves – our identity. Within expat circles it is quietly common knowledge that continuous moving, leaving the friends and support structures we’ve worked hard to build (and/or being the one left behind as others repatriate or move on) and the emotional upheaval that comes with transitioning from one culture to another are ripe conditions for feelings of unease, feeling adrift, unremitting loss, unresolved grief, and yes, even anxiety and depression. For far too many, it is the insidious little secret that isn’t talked about as openly, honestly and at length as it should be. Well, Laura has bravely owned up to having dealt with such a full-blown depression. She captures in detail the slippery slide down from loneliness, feeling disconnected from the basic actions of everyday life and being lost into a deep, dark, ongoing funk. Equally courageous are her descriptions of how it impacted her marriage and relationships with her children and friends. Better still? She’s chronicled how she worked her way back to emotional and mental well-being, sharing how therapy, journaling and various self-care measures associated with emotional resilience made all the difference for her. While her situation may have been all too common – hesitantly agreeing to a move for the sake of her spouse’s career, interruption of her own deeply cherished career aspirations, wrangling with transitional issues in a new environment, trying to keep a stiff upper lip while being overtaken by an insidious depressive episode – it is the overlay of contributing factors stemming from sudden immersion in a new and often unexpectedly bewildering cross-cultural situation that makes this intimate memoir ring true for so many expatriates. Her descent into depression is reminiscent of the frightening, pre-tornado scenes of The Wizard of Oz shot in black and white, entirely devoid of color. Similarly Laura’s painstakingly slow recuperation and re-entry back into a healthier, more positive mental state evokes Dorothy’s awakening into a strange, new, colorful world. Laura isn’t afraid to own up to irritation, frustration and exasperation with any and all aspects of her Houston life during her dark days. This makes her later appreciation of and delight in many of those same cultural nuances and differences ring all the more true. Who among us hasn’t had similar feelings when we were going through culture shock, feeling out of sorts in a new country, usually going on to embrace and enjoy what may once have bothered us beyond compare? It is to Laura’s immense credit that An Inconvenient Posting is a no holds barred account, a candid depiction of both her physical and emotional decline and her victorious re-emergence into a newer, stronger, wiser, more grateful version of her old self. If you or someone you know (expat, repat or otherwise) is or has ever experienced depression – or know someone who has – you’ll want to read An Inconvenient Posting. Actually, I’m betting you’ll want to read it regardless. 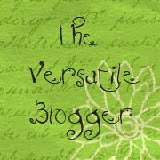 For more good information and insights, do check out Laura’s self-titled blog, An Inconvenient Posting on Facebook or catch her as @LauraJStephens on Twitter. It’s good to know that even the ‘professionals’ struggle with these issues. I guess I’d always imagined that they had some inside secrets that would somehow protect them from most of it. For me, the depression aspect is more weather-related, having come from a warm, sunny part of the US – I suspect the same thing would have happened if I’d moved to North Dakota. I never experienced much ‘shock’ when we moved to Seoul, but when the dark, cold winter hit, I spent the next few months struggling to keep my head above water. Things looked up again in the spring, thank goodness. This year’s record-breaking cold has brought it all back, but I’m doing my best to fight against it. It helps tremendously that I have to get up and go to work a few days a week. I’ll definitely be putting this on my ‘must read’ list! Do look into this book MsCaroline; while it’s a personal account I do believe most folks can see themselves in relevant parts. As for the brutal South Korean winters, I empathize. The Netherlands winters aren’t that cold, just damp, grey and wet. But the lessening daylight can be tough, especially for newbies – even for those who don’t necessarily think that much about it. Thankfully the situation reverses itself if you can either rise above it through activity and maintaining family/friend connections or just hold on. Hope things improve for you in the days/weeks ahead. Do stay in touch! Sounds like a very good read, and I’m sure her take on depression as a therapist, herself, will have some intriguing descriptions. I hope that your visit with your folks was a good one, even without the hi-speed internet, probably better for all, in the long run! Thanks Carol, Happy New Year to you, too. It was/is a blessing to be able to spend time with my parents. Many nice moments, but there’s no doubt that mounting aging issues (81 &79) can create an emotional roller coaster for all involved. Thanks Linda – this is def. going on Audrey! And a bit of quid pro quo, I just read The Cypress Tree by Kamin Mohammadi – not your typical expat read but I loved it and thought you might enjoy it. Thank you Kym, sounds interesting. I’ll definitely put it on my recommended list. Laura’s book is excellent and your review really captures its essence. Interestingly it was your comment about depression being, what I would call the ‘dirty expat secret’, which so resonated. It’s hidden, not talked about and as destructive (in my view) as alcoholism, drug addiction or infidelity. Yet because it’s driven by unseen forces it can be easily hidden – to avoid social situations is far less noticeable than a trash can full of bottles or being caught caught out with the wrong person. Perhaps as more people like Laura shine a light on this dark topic it will encourage those locked into this debilitating illness to seek help. I hope so. I agree completely Wordgeyser, depression can be so destructive yet many people insist on keeping it secret. It isn’t as if the expat community has a corner on depression, it seems to be a rising trend in many cultures. I encounter so many expats who don’t even know about the phases of culture shock (anger, frustration, irritation, loneliness, unhappiness – all possible responses during the ‘bottoming out’ phase); most of us go through it and it doesn’t necessarily mean you wish for a different life or don’t want to be where you are, it reflects your transition to the life in which you now find yourself. But if you get stuck there, or if the cumulative pattern of saying goodbye over and over and over again lays claim to you, depression can result. Laura’s book bravely acknowledges depression as a possible outcome, and better yet, shows it can be overcome but you have to address it.